Home How To Guides How to recover/remove password from micro sd memory card. 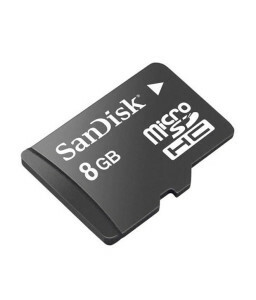 How to recover/remove password from micro sd memory card. Recover/remove micro sd memory card password: most of the times I hesitate to give my phone to my friends or other family members. It’s not that they will harm that device or corrupt the software basically I don’t want to share my personal information with anyone. So to overcome this problem I set password in my phone’s micro sd memory card. Unfortunately at the end of the day I forgot my password and it becomes difficult for me to access my stuff. So one should know some techniques to recover/remove password from micro sd memory card. After much of research I found some best methods that can help you to recover/remove micro sd memory card password from your smartphones. All you need a memory card which is password locked and obviously you have forgotten the password. So, don’t hesitate to lock others memory card as you know you can recover the password easily. 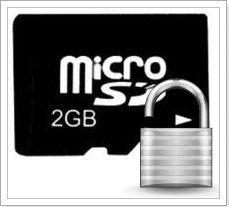 In this post I will give you 3 methods to recover/remove password from micro sd memory card. You can adopt any of them. First method is common method and can be used without any software. Last two methods require some specific softwares to recover/remove your lost password. You are supposed to read all these methods carefully. This method is one of the most common and easiest method. You just need to format your memory card and its password will be removed automatically. I hope this method will work on Android, Windows, Symbian and all other major operating systems. When you try to format your memory card it will ask for password. Type 0000 as default password and it will automatically remove all the data including the password. Well I am not sure whether this procedure is suitable for android or not but one can use it in Symbian. NOTE: while trying to remove memory card password if you format it with default password 0000 all of your data will be removed. So this method is advisable only if you can afford to delete all your data. This method to recover your memory card password involves using a software called as FX Explorer software. This software can help you to extract your lost password in your computer. This procedure is applicable to Symbian operating system. Although Symbian is an old operating system but still this procedure is very effective in recovering your lost password. Alternatively you can use this method to recover/remove memory card password for android system also but still you need Symbian to perform the whole procedure. Insert your memory card into a Symbian phone. Usually Nokia phones uses Symbian operating system. Now download the software called FX Explorer from the link given below. 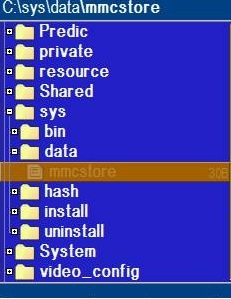 Once you have downloaded the software in your Symbian operating system open the c drive and look for file name MMC store. Now transfer the MMCSTORE file to your computer. Now open the MMCSTORE file in your computer with the help of notepad. You can find the password at end of the file. Hope this method will work for. This method also works on Symbian sets only. Download X-PLORE in your Symbian mobile (most commonly used in Nokia handsets). Now open X-PLORE and pass the value zero (0). Default value to open the control files. After that select show the system files. Now you need to enable the HEX_VIEWER. You can do so by pressing 3. Once you press 3 you can see some values like TMSD02G (c??”?x?? ?A?B?C?D?2?3) in third or fourth column. To recover the lost password simple remove the ? from this code and you will get the lost password. For eg password from above code is ABCD23. NOTE: USE THESE METHODS AT YOUR OWN RISK. NO APPLICATION DEVELOPERS OR INFOCURSE IS RESPONSIBLE FOR ANY LOST OR DAMAGE OF YOUR DATA. Previous articleTop 5 best radio FM apps for non FM android phones. Next articleDownload & install Candy Crush Saga for Nokia X, XL and X+ without root.